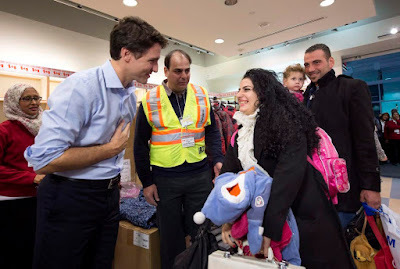 It has been revealed that Canada will offer temporary residency to those travellers currently stranded by the ban Trump placed on citizens of seven Muslim nations. This was made known by Canada's immigration minister, Ahmed Hussen. Hussen, who was himself a Somali refugee, stated that no one is stranded at any of Canada's airport at the moment. "Let me assure those who may be stranded in Canada that I will use my authority as minister to provide them with temporary residency if they need it, as we have done so in the past," Hussen said. It was also earlier revealed by the U.S. State Department that dual Canadian citizens (i.e citizens from any of the barred countries who also have Canadian citizenship) were included in the ban. However, Daniel Jean, Canada's national security adviser, said that was not the case. He revealed that White House officials have assured them that citizens from the affected countries who are also Canadian citizens are not affected by the ban. In related news, leaders of Canada's technology sector have signed an open letter urging their government to provide working visa to tech workers affected by the Trump ban. Jennifer Moss, co-founder of a Canadian tech company said such visas are to help tech workers blocked from returning to the US to now live and work in Canada while they apply for permanent residency if they want to. "If you're not interested in keeping people that are extremely talented, intelligent, brilliant minds from all around the world, and turning them away at the borders, we're happy to take those people in our country," Moss said.